What tools do I use to go live? 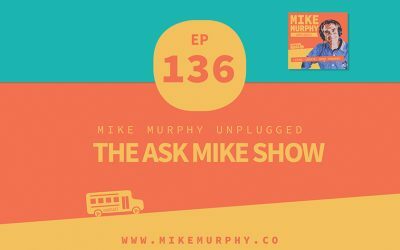 Today in Episode 133 I am going to take you behind the scenes and share my current 2018 backup strategy and system for archiving my digital data to protect me against any digital emergencies such as a hard drive failing or maybe a lost or stolen computer while on the road. Practical tips for you to get started take control of your digital data and develop a rock-solid backup plan. The tools I use for backup and organization. My current backup system and workflow for all of my devices. 2. What is backed up and where is it stored? 3. How does iCloud Photos really work? 4. What is iCloud Drive and how can it help you in your overall backup strategy? Episode 131 starts with a brief overview of ebooks and then jump right into my eBook challenge which you can find in its early stages at WritetheLife.com. What is the Write The Life eBook Project? Episode 130 is all about the very popular note-taking app, Evernote. Why has it taken me 10 years to finally start using it consistently? Ep129 is about how to value your time and knowledge and create valuable content. What is value based or perceived value? How do you figure out how much your time is worth? How do you make a good living creating impactful and valuable content and have raging fans and/or happy clients? What type of Facebook Lives can you create if you are a personal brand, content creator or small business? 1. Is Twitter still relevant for content creators and personal brands in 2018 and if so, why? Today is all about me, Mike Murphy, The One Man Band. Who I am and the paths I took to get here. The facts and the highlight reel. My history, profile and resume all rolled into one.